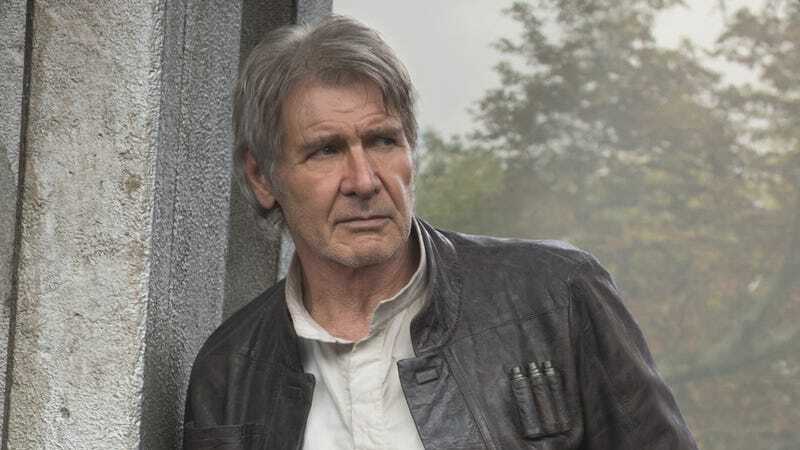 One of the complaints fans had about The Force Awakens was the death of Han Solo wasn’t powerful enough. It happened too quickly and we never saw anyone process it. Well, maybe that’s because his death was so big, it’s going to reverberate into The Last Jedi too. In a new set of interviews with Entertainment Weekly, the cast and crew revealed that not only is Solo’s death weighing heavily on his son (and murderer) Kylo Ren, as well as his best friend Chewbacca, it’ll also play a key role in Rey’s motivations in the sequel. You see, though their time together was brief, Solo believed in Rey and she felt a mentor/paternal connection to the smuggler. So, as the story moves into The Last Jedi, she has a very big issue with one Mr. Ben Solo. As for Kylo himself, director Rian Johnson revealed that Ren isn’t over that little act of patricide either. Johnson also confirmed that Chewbacca still isn’t over Solo’s death. Read more about Solo’s role in the movie, plus the expanded role of Captain Phasma and smaller role of Maz Kanata, in the below link. The Last Jedi hits theaters December 15.